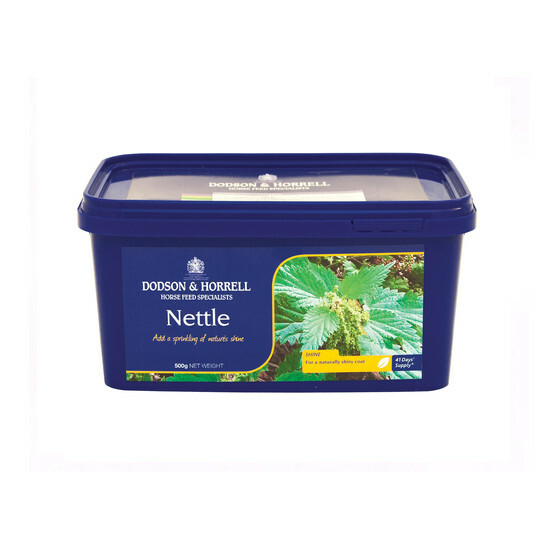 Dodson & Horrell Nettle contains essential vitamins and minerals to help support health and vitality in horses. 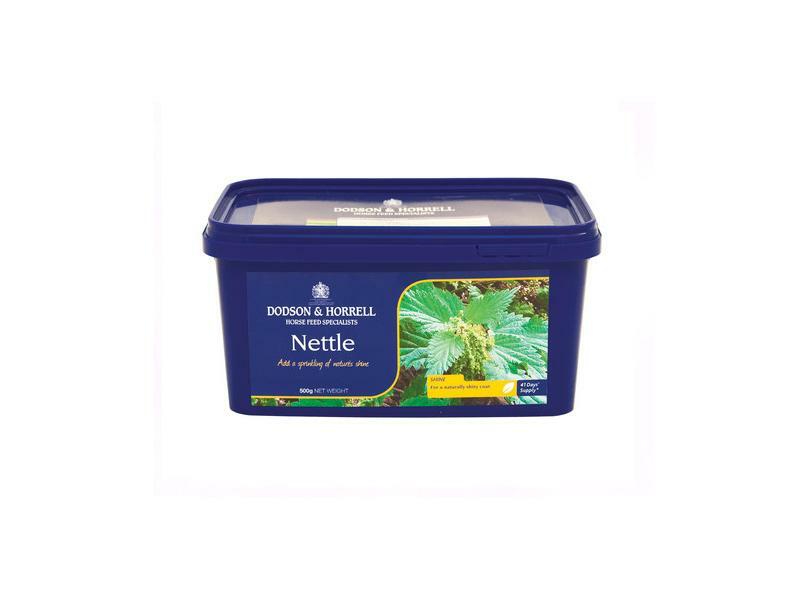 Supplementing nettle into your horse's diet may also promote a shiny coat and support normal digestive function. Below are some recent questions we've received regarding Dodson & Horrell Nettle for Horses, including answers from our team. For a mini shetland with laminitis would you feed nettle on a permanent basis or just until sound again? Would help decide how much to buy! This supplement is intended to be given daily long term. In a laminitic pony on a strict diet this supplement can help to provide essential vitamins and minerals without the added sugar. I would use this supplement permanently. 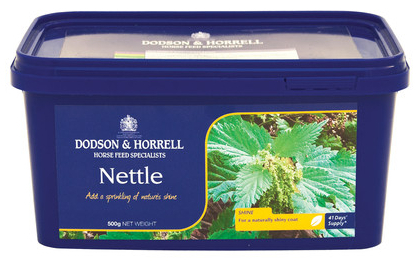 can you tell me the daily dosage amount for Dodson and Horrell nettle and is it 100% nettle.